The study of rigid body or rigid link is a subject of mechanics. Lot of studies can be done on rigid bodies. Rigid body kinematics and rigid body dynamics are the subject of analysis to understand the nature of a rigid body . The rigidness of a body is desirable while making kinematic links in a machine or structure. A Rigid body is one which do not change its shape or size on the application of force. While force is applied on the rigid body very small change in shape that is negligible can happen.It means rigid body possess high stiffness property.In other words we can say that a body which do not deform on the application of force is called rigid body. The distance between two atoms remains same on applying the force in rigid body as it was without any force. When a solid body is taken as in ideal form it is called rigid body so we can say that the perfect rigid body do not exist in the reality. Some solid body which has very few deformation on the application of force is considered as rigid body. Due to this idealization the rigid body is considered to have uniform mass distribution. To understand the behavior of rigidbody i.e. Dynamics and kinematics of it, you have to understand the Euler’s equations. In the Kinetics of rigid body the position of a rigid body and the moment of rigid body are the aspects to cover. The position of all the particles of rigid body is the position of rigid body as a unit. The analysis of three non-collinear particles in a rigid body is enough to covers whole rigid body position for analysis. It is the position of a point in the body which coincides with the centre of mass of the body. 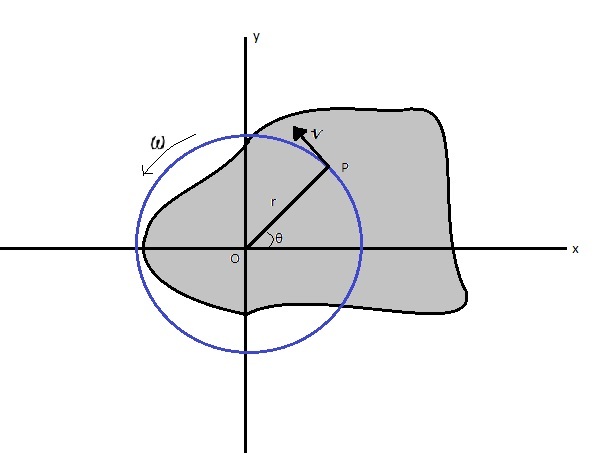 The position is represented by a vector. It represents the orientation of the body. To understand the orientation of the rigid body Euler's equation should be considered. This equation helps to observe the motion of rigid body in a coordinates system. Velocity of a rigid body also have same categories as the position of rigid body i.e. linear velocity and angular velocity. The change in the position of a rigid body with respect to time is called linear velocity. It is a vector quantity. The linear velocity is calculated when the body has no rotational motion in it because if the body has rotation then the instantaneous velocity of two particles might not be same. Angular velocity is the change in the orientation to describe the angular speed of a particle in the rigid body. It is a vector quantity. When rotation in a rigid body takes place, all the particles in the body feels the identical angular velocity.angular velocity is not the rate of change of angular position. The change the position of a rigid body (i.e. Linear and angular position) with respect to time is called the rotation of rigid body. the diagram given above explains the terms or factors involve in the rotation of a rigid body. In the rigid body dynamics the study of application of external forces rigid body is carried out. It is basically the study of behavior, motion, kinematics, kinetics etc. of a rigid body under external forces. 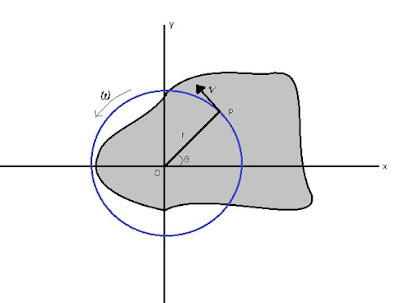 As the deformation do not takes place in the body as per the assumption of the rigid body, it simplifies the analysis of rigid body dynamics by reducing the parameters for consideration for analysis. The analysis is carried out with the help of laws of motion and laws of kinematics. These laws explain the position, speed, and acceleration etc of a rigid body with respect to time. As the stiffness is main factor of a rigid body so we can choose some materials as rigid body which has higher stiffness. Some examples of material with higher stiffness are diamond, steel, rock, cast iron etc.